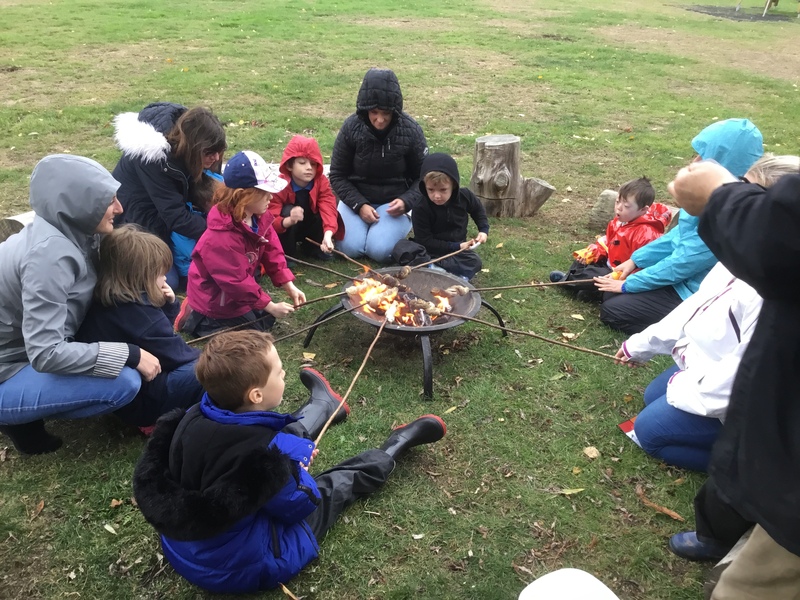 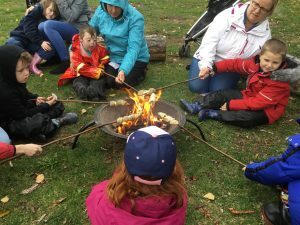 Today Jellyfish have had a great time at Forest School! 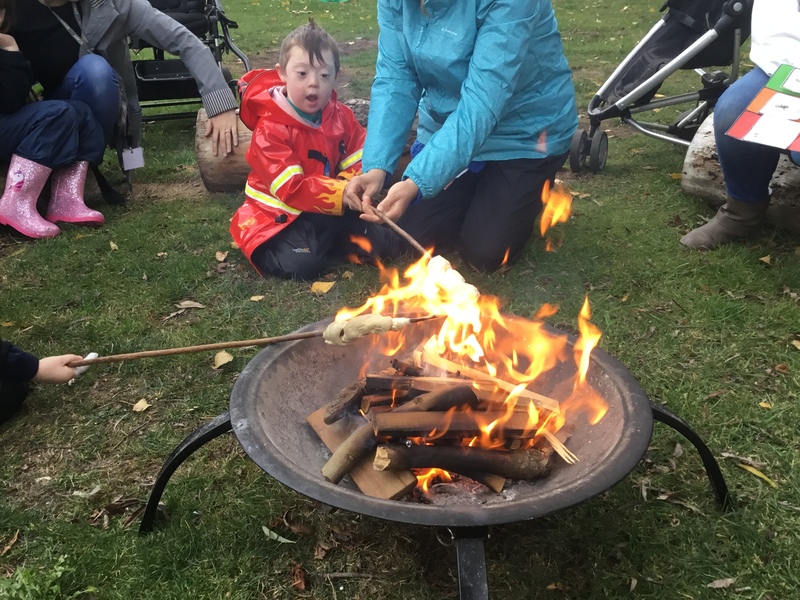 When we got there Geoff explained that we were going to have a fire in the firepit, we were very excited. 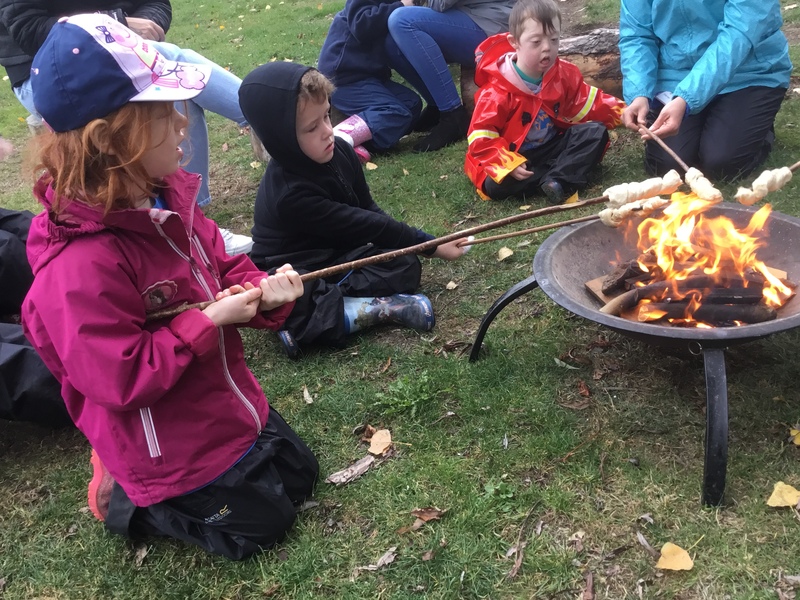 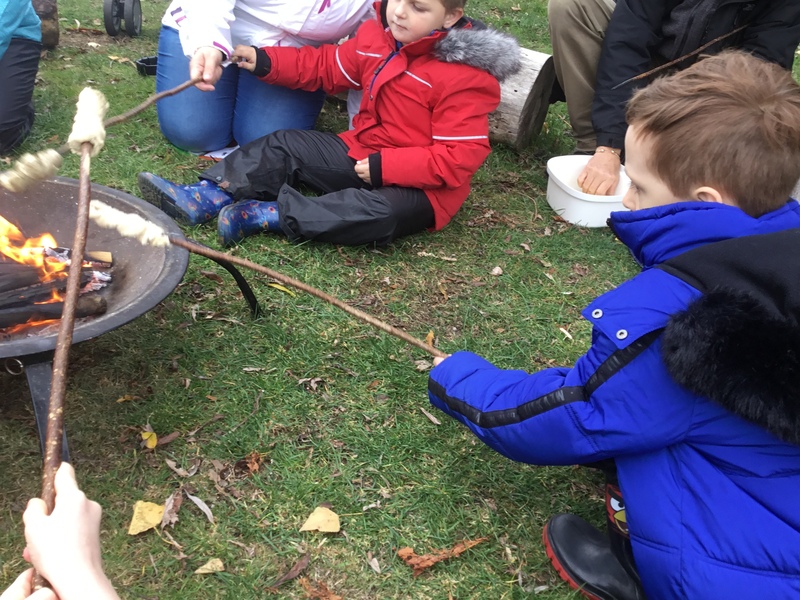 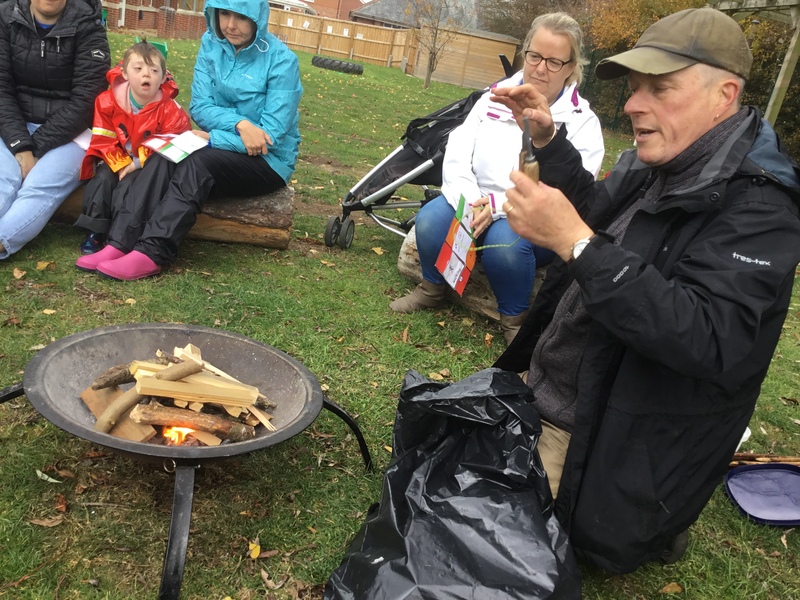 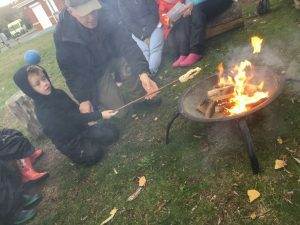 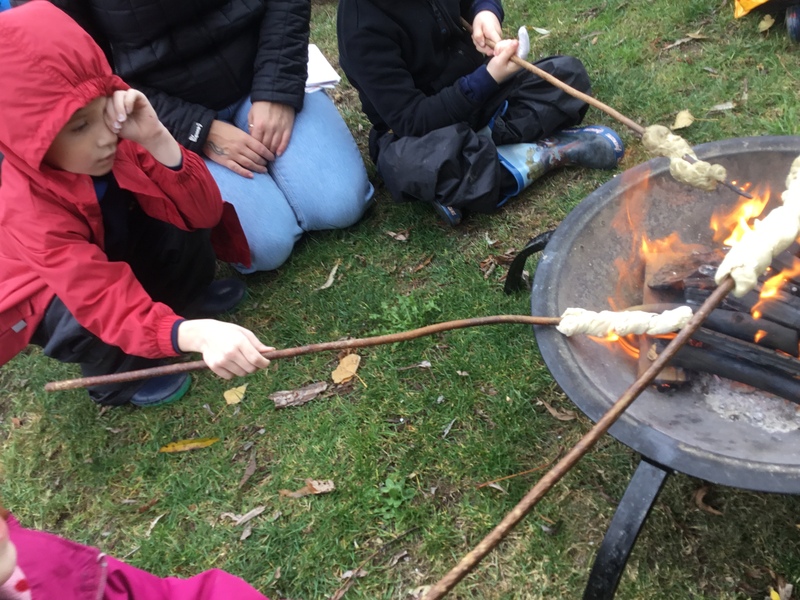 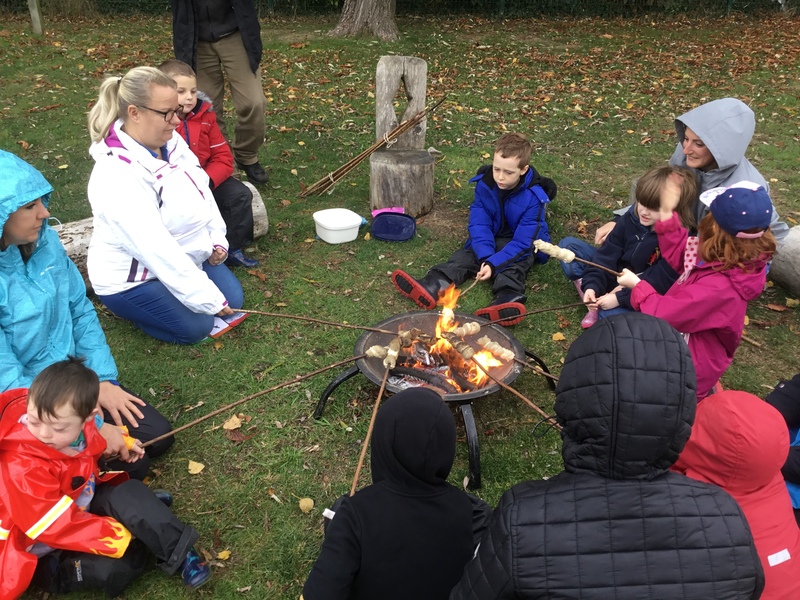 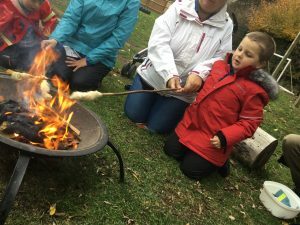 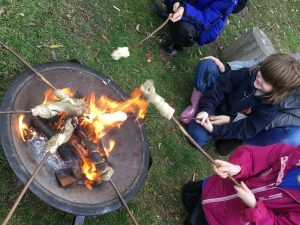 Yesterday we made dough in cooking and today we rolled the dough around sticks to cook over the fire. 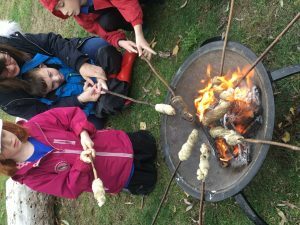 They were really yummy! To finish we had a few marshmallows. We were very grateful that the fire kept us warm and cosy when it started to rain.